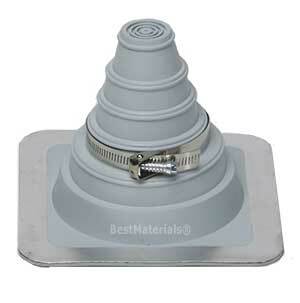 PRODUCT:#3 Deck-mate Gray Color EPDM Boot With Stainless Steel Clamp. 7.6" X 7.6" Base, 5.6" High, Closed Top. Fits 1/4" - 4" (6mm To 102mm) Pipes. Price/Boot.